Lina Tobler is currently studying towards a MSc in Sound Design and Audiovisual Practice at the Music subject area. She sits in the organizing committee of Sound Thought. The Sound Thought Festival is back, bigger than ever and still free! 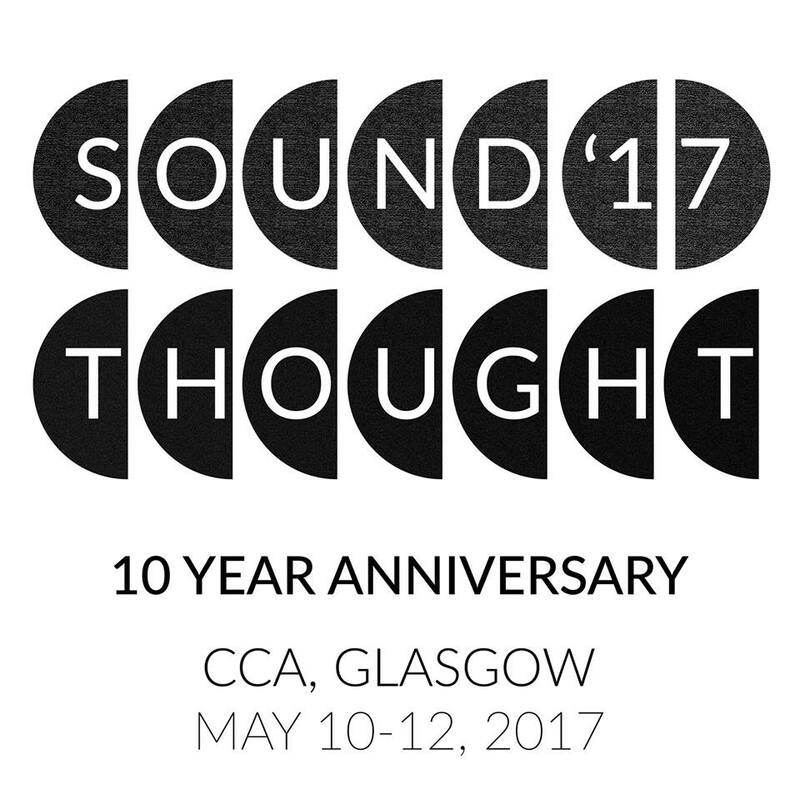 This year marks the 10th anniversary of Glasgow University’s annual Sound Thought Festival, which will take place from the 10th – 12th of May at the Centre for Contemporary Arts (CCA) in Glasgow. Never before have there been so many artists and researchers at Sound Thought, exploring the intersections of music, sound and other artistic genres. Over the course of three days, more than seventy delegates from around the world will present their creative work and research within a huge range of music-related fields. Sound Thought aims to provide researchers and artists with a platform to present their work in a collaborative, interdisciplinary environment. Musical practice is closely intertwined with related research, with practice-based research being at the intersection between them. Through exploring the spectrum of practice and research and by showing sonic artwork alongside the latest research findings, an interdisciplinary dialogue can be fostered. While it is a unique opportunity for all participants to expand their professional networks, Sound Thought also offers the chance for festival visitors to explore a variety of current musical practices and academic research showcased at the event. During the day, installations, talks and sound pieces will be presented. In the evening, the audience is invited to live performances and concerts. Visitors are invited to either come by for particular events or to just stay for the day. As always, the event is free! The festival was initially established in 2007 and is organised by postgraduate students from the University of Glasgow. This year’s committee members are: Wenxin Cui, Kevin Leomo, Hannah McGrath, Hannah Newham, Ela Orleans, Andrew Rae and Lina Tobler. The festival collaborates with UofG’s television society (GUST) to document the festival and with Glasgow’s academic journal eSharp.